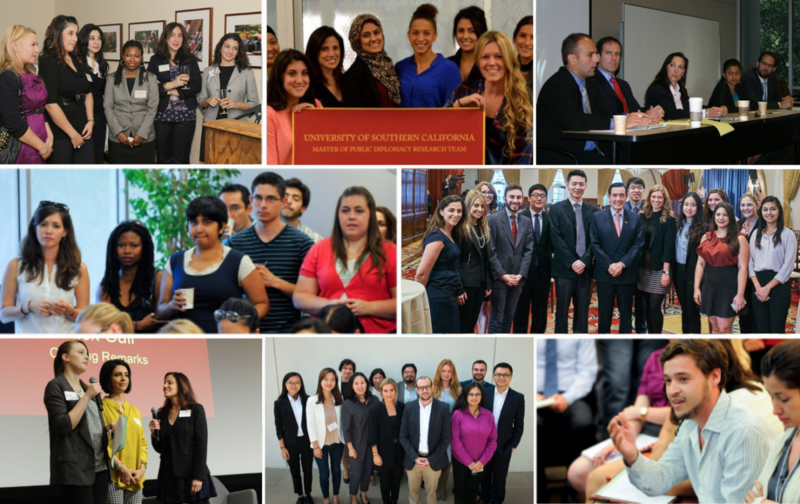 Students in USC's pioneering Masters of Public Diplomacy Program (MPD) as well as various related disciplines are an integral and indispensable part of CPD's work. To find out more specifics re: CPD's student engagement, click here. CPD Doctoral Conferences - established in 2016 as a platform for international scholars to present their research and engage with a network of academics and practitioners. As a research intern and blog manager, working at CPD has been an invaluable addition to my experience as an MPD student. In my internship, I was able to delve into a research question I was passionate about with a senior State Department Public Diplomat. Moreover, being blog manager has given me professional skills and practice in content management and communication with PD academics and practitioners. My CPD internship experience broadened my perspectives on public diplomacy and media coverage of PD-related issues. As a contributing researcher to PDiN (now PD News), I researched and posted national and international news clips related to the many themes that fall under the wide umbrella of "public diplomacy." This turned out to be valuable in my schoolwork as well, as I was able to draw upon current events and divergent views of PD in discussions and papers. I also very much enjoyed the opportunity to contribute to the work of CPD, which is highly regarded as a go-to source for thousands of international scholars, practitioners and other PD aficionados alike.